It was a typical hectic morning at the Marcus house, and my daughters had just sat down to eat breakfast before school. I looked over at my 6-year old, who was refusing to eat (a common battle, which I will discuss in a future blog!). However, something about her just did not seem right. My husband quickly felt her forehead and said she was fine. I remained skeptical, and ran to get the thermometer just as the carpool arrived. Sure enough, it registered 102 degrees! She ended up just having a minor 48 hour virus, but clearly did not need to be sent off to school. As a pediatrician and a mom, I wear both hats on a daily basis, and the roles are often blurred. It was my “Mom” hat that spoke to me in the example above. I did not use any medical training to know something was wrong. I just knew. In medical school and in practice we are trained to obtain a detailed history, collect objective data, and perform thorough exams to make a diagnosis. The role of intuition and gut instinct is often underestimated. My role as a mom has helped me appreciate how powerful and important it is, and has made me a better pediatrician. For example, sometimes when I’m seeing a patient, I can sense that something may be off, even though there may be limited objective clues. 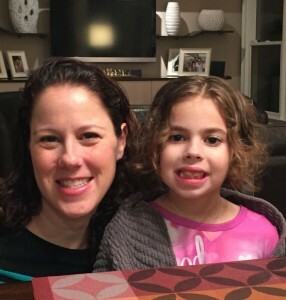 Other times everything may seem normal to me, but a mom speaking up about her gut feeling may provide clues and the missing pieces that lead to an accurate diagnosis. In the world we live in today we have an overabundance of resources, and it’s easy to type something in the computer to get an “answer” when we think something is wrong with our child. It seems that we have learned to trust Google more than our own gut. People often ask if I examine my own children. Although on a rare occasion I may yield to my pediatrician hat and check them out, I more often just take a step back and listen to my intuition. As a pediatrician and a mom I have many moments where I rely on only being a mom, just like you.